NWVCIL is hiring an Independent Living Resource Specialist in Elkins, WV! A full job listing and additional information can be found on idealist.org. The ILRS provides consumer-directed independent living skills training and peer and supportive counseling. Shares responsibility with other program staff for case finding (outreach), individual and systems advocacy and community education. 2. Ability to occasionally work long hours and/or weekends. 7. Compile information and prepare activities reports. 1. Bachelor’s degree or equivalent experience in a human service field. 2. One to three years of experience working with people with disabilities. 1. Demonstrated ability to communicate effectively, orally and in writing, with or without reasonable accommodation. 2. Demonstrated ability to identify facts and develop creative solutions. 3. Familiarity in using computers for work processing, data collection and communication. 4. Familiarity with social services for people with disabilities. 1. Understanding of the Independent Living philosophy. 2. Interest in disability issues. 3. Ability to organize and prioritize complex tasks. 4. Commitment to the civil rights of all people. 6. Experience working with and/or sensitivity to people with disabilities. 7. Ability to work with a minimum of supervision. Please submit resume and cover letter as email attachment to Paulette Southerly at psoutherly@nwvcil.org. Please put “ILRS” in the subject line of the email. Note: this job is located in Elkins, WV. NWVCIL is an equal opportunity employer, and actively encourages candidates from all races, national origin, ethnicities, genders, religion, ages, sexual orientation, abilities, and life experiences to apply. Happy Holidays from everyone at NWVCIL to you and yours! 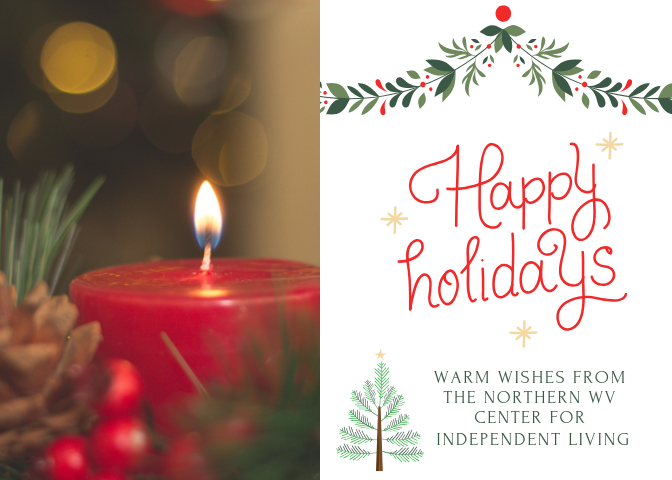 The Northern WV Center for Independent Living will close on Friday, December 21st and reopen Wednesday, January 2nd to allow staff to celebrate the holiday season. Finish your last minute shopping and contribute to NWVCIL at the same time! 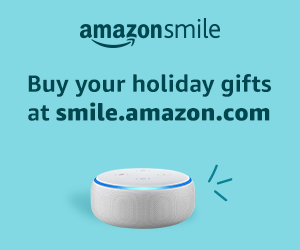 Simply visit https://smile.amazon.com/ch/55-0724177 and Amazon will automatically contribute a portion of your purchase cost to us.